Mala Tang Soft Opens Today (4/27) in Arlington, Va.
Mala Tang is the fourth restaurant from Sichaun Master Chef Liu Chaosheng, and it looks to be his most ambitious offering yet. The Arlington establishment soft opens today, giving you the chance to see what all the fuss is about before Monday&apos;s grand opening. It is more of an upscale-casual dining experience than past Chaosheng locations like Hong Kong Palace or Uncle Liu&apos;s Hot Pot. 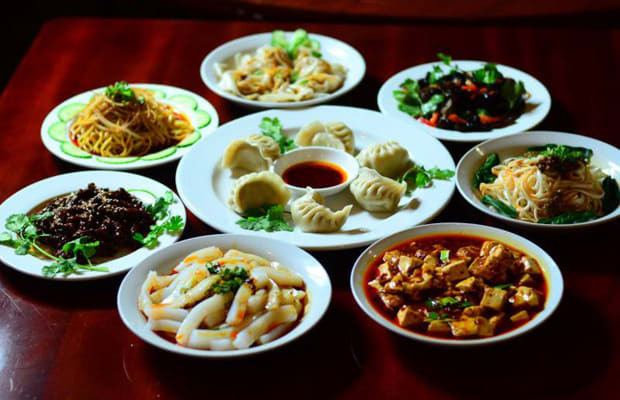 Appetizers are served xiao chi style, with six hot plates and six cold plates, and include delectables such as dan dan noodles, green onion pancakes, mapo tofu, spicy dried beef, spicy cold noodles, and mung bean noodles. The main course consists of personal-sized hot pots filled with tasty Sichaun-style spicy broth that diners can dip into plates of seafood, meat, mushrooms, and root vegetables. The 150 seating arrangement boasts a patio, bar, and a communal table. There&apos;s even a to-go street food counter that has pre-prepared pots with meats or vegetables already mixed in. Whether you dine-in or grab it to go, we&apos;re sure you&apos;ll take away something good from Mala Tang. Sunday through Thursday, 11 a.m.-9 p.m.
Friday and Saturday, 11 a.m.-10 p.m.
3434 Washington Blvd, Arlington, Va.